Below you will find each workshop category with a brief description, featured speakers within topic, and workshop tracks that address the trending and popular topics. You can see the entire listing of workshops by category and the schedule by time both listed online. Learn about high performance and green building techniques that can reduce your environmental impact. The Energy Fair offers a variety of ways to improve the efficiency and sustainability of your next project! Learn about techniques and then see those techniques in action at one of our green building demonstrations. Get inspired to reduce your energy footprint. Whether you are looking to build a tiny home on wheels, build a small house, or downsize your lifestyle, our Tiny Living Workshop Track will help you find answers to achieve your goals. Design and Build a Tiny House at 9:30 a.m. Extreme Downsizing at 12:00 p.m.
You can see the entire listing of workshops by category and the schedule by time both listed online. Learn how to use organic matter as fuel! The use of biomass energy has the potential to greatly reduce greenhouse gas emissions. Check out some of these great workshops and exhibitors to learn more. Be sure to check out the Clean Transportation Show and see how folks are using bio-mass to run their vehicles, motorcycles, and more! Our Clean Transportation workshops and exhibits focus on transportation with sustainable social and environmental impacts and the ability to supply the source energy indefinitely. PV+EV=Cars driving on sunshine! Beginner’s Guide to Buying an Efficient Car at 3:30 p.m.
Chevy Volt, Bolt, and Tesla 3 at 4:30 p.m.
Real World Experiences with Plug-In Vehicles—Owner Panel at 5:30 p.m.
Driving My Tesla Model S P85 on Sunshine at 11:00 a.m.
Tesla Vehicles—From Roadster to Model 3 at 12:00 p.m.
Best Energy Efficient Vehicle for You at 2:30 p.m.
Get involved, and make an impact on local and global issues related to the environment, climate change, and social justice! The power of community in enacting change is amplified by the number of people involved. Learn how you can become an active and engaged citizen. Clean Energy Democracy at 9:30 a.m.
Community-Led Clean Energy—WI Case Studies at 10:30 a.m.
Stir up Democracy—Cookies, Communities, and Lawsuits at 12:00 p.m.
Local Resilience Initiatives—A Roundtable Discussion at 2:30 p.m.
Are You Feeling Cooperative Yet? Co-ops 101! at 10:00 a.m. Successful Collaborative Management at Stevens Point Area Coop at 11:00 a.m. Soil Sisters—Cook up Change One Potluck at a Time at 12:00 p.m. Engage with us! The Educator Tent features hands-on activities and demonstrations for educators, youth, and the general public. Co-sponsored by the Wisconsin K-12 Energy Education Program (KEEP) and the Wisconsin Center for Environmental Education (WCEE), part of the College of Natural Resources at UW-Stevens Point. The WCEE is offering a for credit course for teachers attending The Energy Fair. For more information, scholarship eligibility, and registration visit https://goo.gl/ikxW78. Hands-on Solar and Wind Power at 10:30 a.m. Solar Energy Institute for Educators at 12:00 p.m. Facilitating Leadership Through Sustainability at 2:30 p.m. Teaching for Life at 3:30 p.m. Solar as a Teaching Tool at Lakeland Union High School at 11:00 a.m.
B. Scott Free Library Solar Project at 12:00 p.m. Maple Syrup for Beginners at 3:30 p.m. Learn how to use less energy in your everyday life! Discover products and techniques that use less energy which in turn reduces greenhouse gas emissions, helps protect the environment, and improves the quality of our air. Energy-efficient solutions can save homeowners and businesses 20 to 30 percent on their energy bill! Learn about ways to invest sustainably and how to think about the gross domestic product differently. In addition to this workshop, check out our other categories to learn how to utilize energy-efficient upgrades, conservation methods, and renewable energy to save you money. **FEATURED SPEAKER Smart Grid and Micro Grid Basics: John will provide an introduction to our evolving electrical distribution etwork, specifically describing Smart Grids and Micro Grids. John Hippensteel, PE Instructor, Northeast Wisconsin Technical College. Located at the Grid Trail. **FEATURED SPEAKER Driving my Tesla Model S P85 on Sunshine: In this workshop we will look at the total watts I consume driving a Tesla S under a wide range of driving conditions, and discuss the size of a solar electric system required to drive on 100% sunshine. 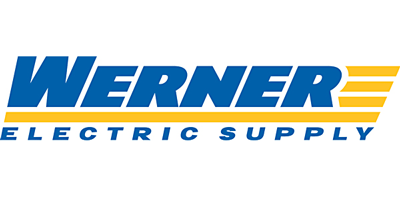 James Kerbel, NABCEP Certified Installer, Photovoltaic Systems, LLC. **FEATURED SPEAKER How Utilities are Learning to Embrace Solar: After years of resistance, WI utilities are finally warming up to solar energy. We’ll examine the convergence of factors today that make large-scale solar farms appealing to utilities. Michael Vickerman, Program and Policy Director, RENEW Wisconsin. **FEATURED SPEAKER Introduction to the NREL System Advisor Model: In this general introduction to SAM, we will discuss the full range of the model’s capabilities from modeling residential rooftop solar electric systems to utility-scale wind and concentrating solar power tower projects. The session will consist of a presentation followed by a short software demonstration. SAM is free software for techno-economic modeling of renewable energy projects provided by the U.S. DOE National Renewable Laboratory and is used by project developers, system designers, researchers, and other people involved in making technical and financial decisions about renewable energy projects. Paul Gilman, Renewable Energy Modeler, Self-employed sub-contractor to National Renewable Energy Laboratory (NREL). The Rainbow’s End workshop tent, organized by Tomorrow River Community Charter School, is filled throughout the day with a wide variety of topics for children of all ages. Families are free to learn and play together in a positive and fun environment. Activities range from drumming circles and singing with Tom Pease, to seeing and touching live frogs with David Stokes, to kids crafts! Please accompany your child at all times. Advance your professional development in the solar industry and learn about the latest solar products, trends, and technology through continuing education opportunities, advanced workshops, and industry networking opportunities at this year’s Energy Fair. Receive top-botch education at an affordable rate in a run and relaxing environment. This year features a Solar + Storage workshop track with nationally renowned speakers and the debut of an MREA battery-based course. In 2017, we helped over 370 professionals earn 540+ NABCEP Solar PV Continuing Education Unites (CEUs). We plan to do the same in 2018; come join us! All CEU courses are recognized by NABCEP and are free with admission. 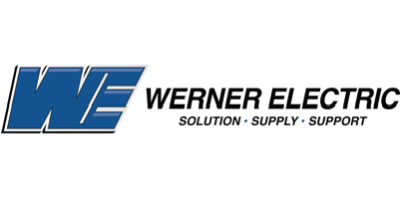 Solar Professional Workshops are brought to you by Werner Electric WI and Werner Electric MN. **FEATURED PRESENTER The Solar Greenhouse (3 Hour): This workshop requires a $30 ticket that can be purchased here or on-site (space is limited). Ben will address ways to maximize solar heat gain from a greenhouse through both daily and seasonal storage techniques. He will also describe ways for active solar thermal to increase solar gain. Benjamin Nusz, Renewable Energy Specialist Instructor, Mid-State Technical College. Saturday 2:30 p.m. in the Yellow Tent. Learn how to incorporate sustainability into your yard, garden, farm, or even your basement! Network and learn from farmers, master gardeners, bee keepers, seed savers, horticulturists, agriculturists, permaculturists and more! Learn everything from seed saving and vermicomposting, to food preservation techniques. **FEATURED SPEAKERS Sustainable Living Simplified: Grow your own food and prepare it in your farmstead kitchen! Craft your version of the good life based on self-reliance and interconnected systems addressing food, energy, nature, and finances. John Ivanko and Lisa Kivirist Co-Authors of ECOpreneuring, Homemade for Sale, Farmstead Chef, and Rural Renaissance. **FEATURED SPEAKER Repurposing Abandoned Manure Pits to Produce Fish: This workshop will discuss converting unused manure pits into fish production facilities, and the first year of research based on a Sustainable Agriculture Research and Education Program (SARE) grant. William West, President, Blue Iris Environmental. Learn all about the many ways you can incorporate sustainability into your lifestyle in an effort to preserve our planet for future generations. The Energy Fair offers a variety of workshops, demonstrations, and exhibitors to learn from! Brought to you with support from The Brookby Foundation. **FEATURED SPEAKER Groundwater Pumping and its Impacts on WI Lakes, Streams, and Wetlands: Whether or not to limit groundwater pumping by high-capacity wells in WI has been a political hot potato. George will explain the science of groundwater, groundwater pumping, and how pumping in parts of the state is drying surface waters. George Kraft, Ph.D. and Professor Emeritus, UW-Stevens Point. **FEATURED SPEAKER Quality Matters—Groundwater in WI: Groundwater is the primary water supply for the vast majority of Wisconsinites, and also supplies the majority of flow to our streams and rivers. Bother state and local data will be used to demonstrate what is known about groundwater quality in WI. Specific attention will be paid to nitrate, and what is currently known about major sources and occurrence in WI’s groundwater. Kevin Masarik, Groundwater Education Specialist, UW-Extension and UW-Stevens Point. **FEATURED SPEAKER Understanding Wind Turbines—Beginner Math and Economics: Do you ever wonder why those big wind turbines turn so slowly and some of them aren’t moving? Learn the math (we’ll go easy on that) behind wind turbines, and the economics that explain why a wind turbine doesn’t work on your roof. After this workshop, you will look waaaay cool when you talk about wind turbines. Time for Q&A at the end. David Ashworth and Bob Klingberg, 3rd Energy, Inc.
**FEATURED SPEAKER Homebrew Wind—Build Your Own Wind Turbine (3 hours): This three hour workshop requires a $30 ticket that can be purchased at www.TheEnergyFair.org/tickets or on-site. Wind is the most difficult renewable resource to harvest, and small, commercial wind turbines are expensive. With the right knowledge, preparation, and tools, you can build your own from scratch for cheap. Dan Bartmann, Owner, Otherpower. Friday 9:30 a.m. in the Yellow Tent.